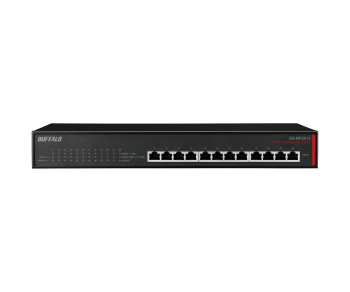 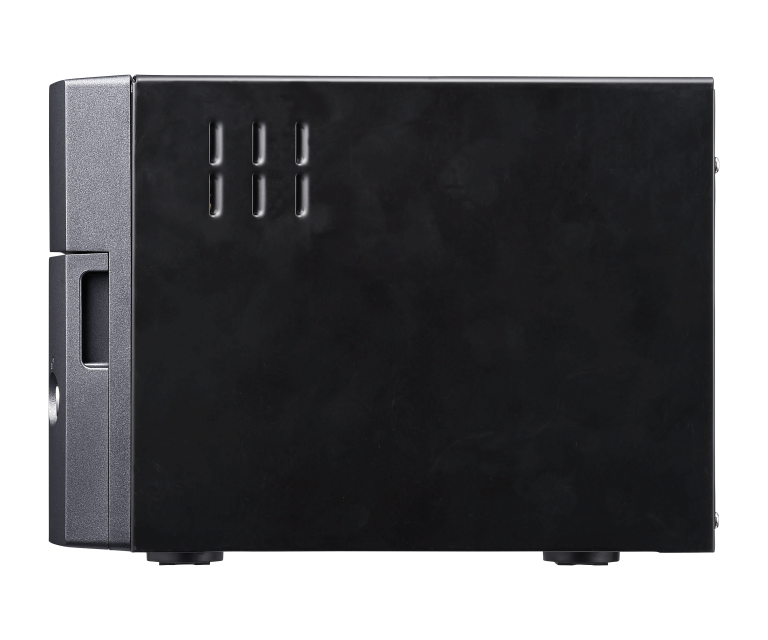 A new level of NAS Excellence. 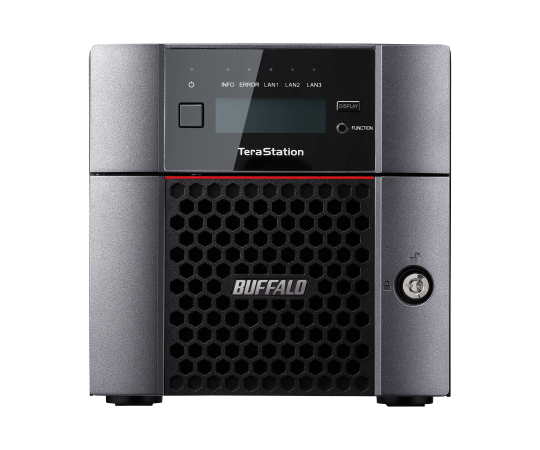 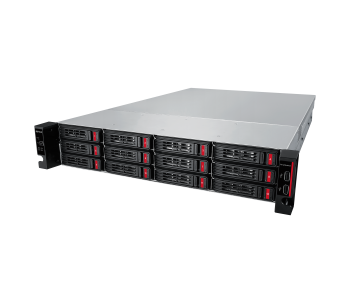 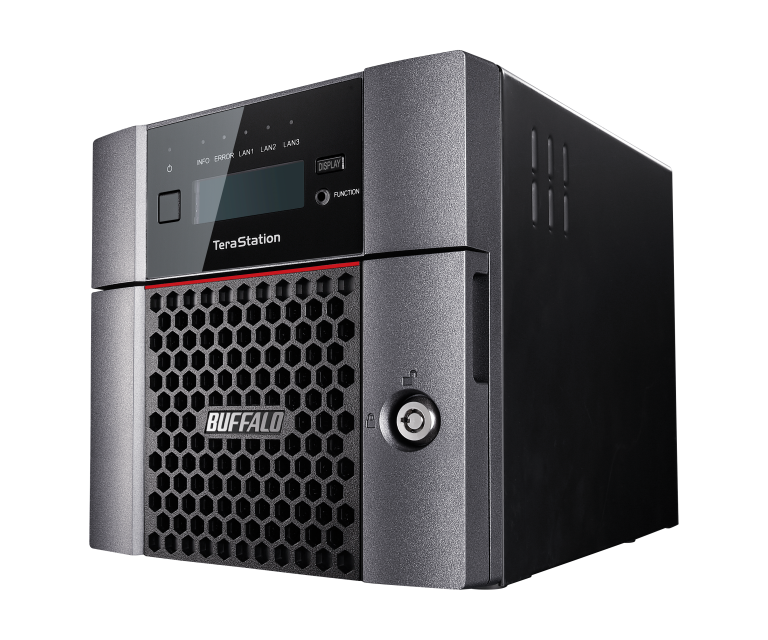 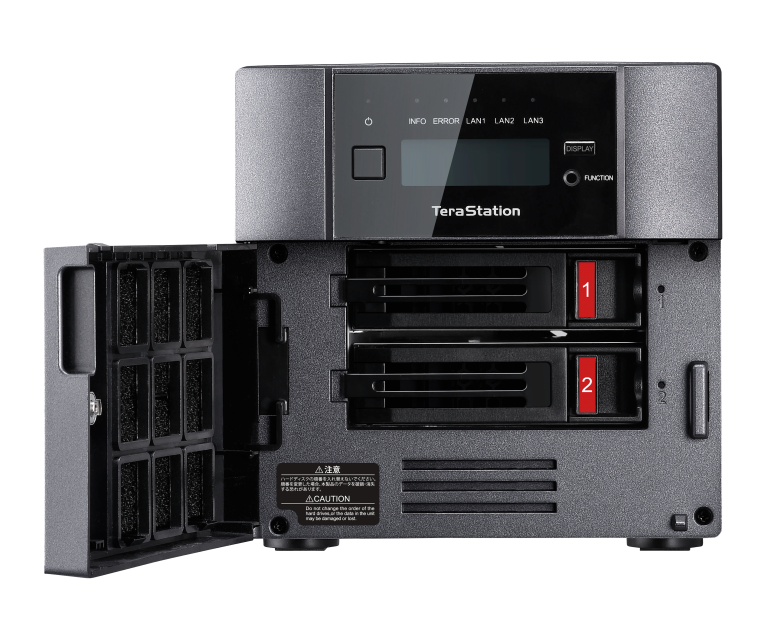 The 2-bay TeraStation™ 5210DF combines 10GbE connectivity with high-performance SSDs and impresses with extraordinary speed as well as high shock and vibration resistance. 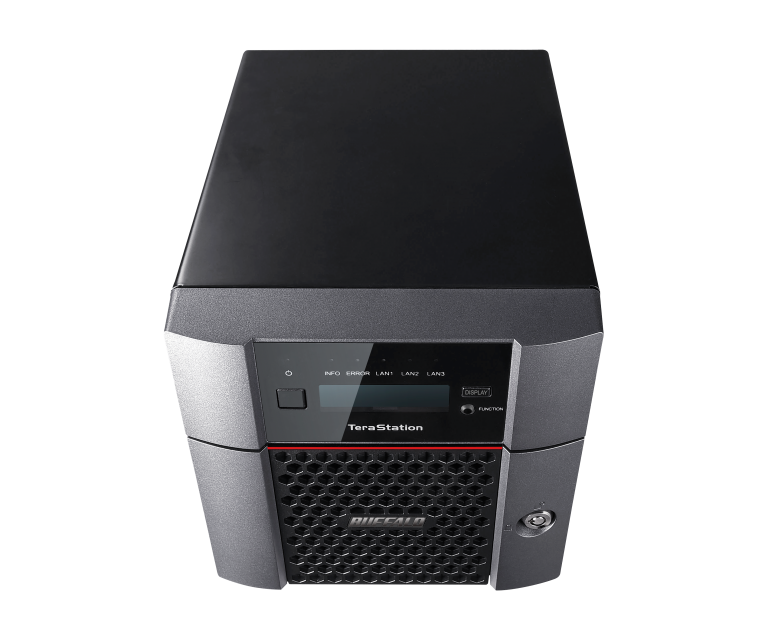 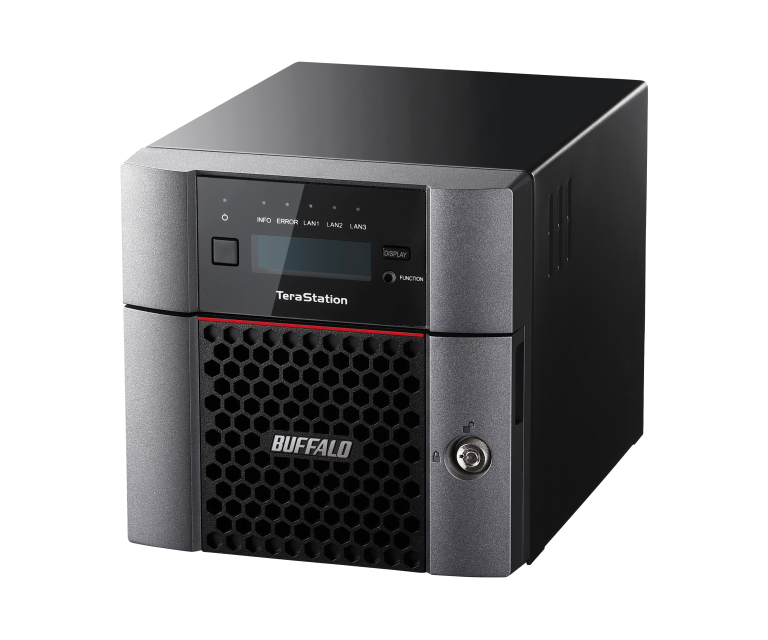 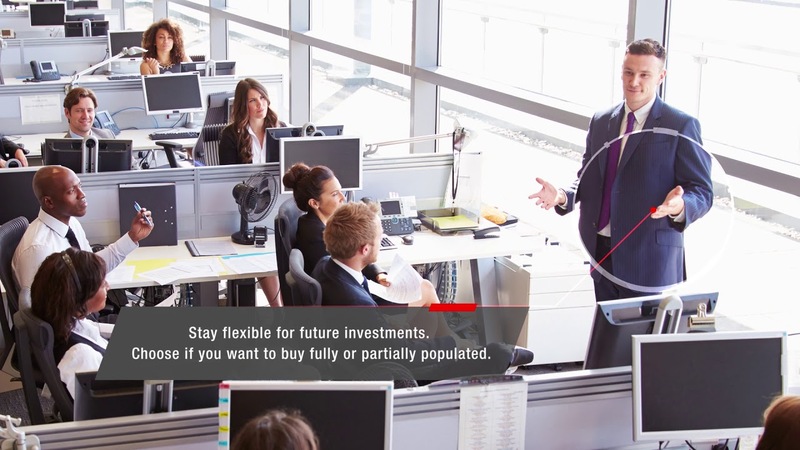 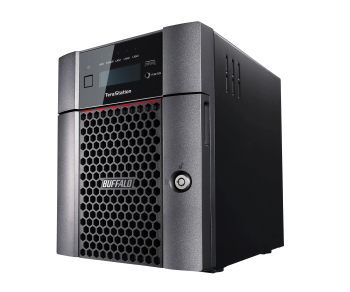 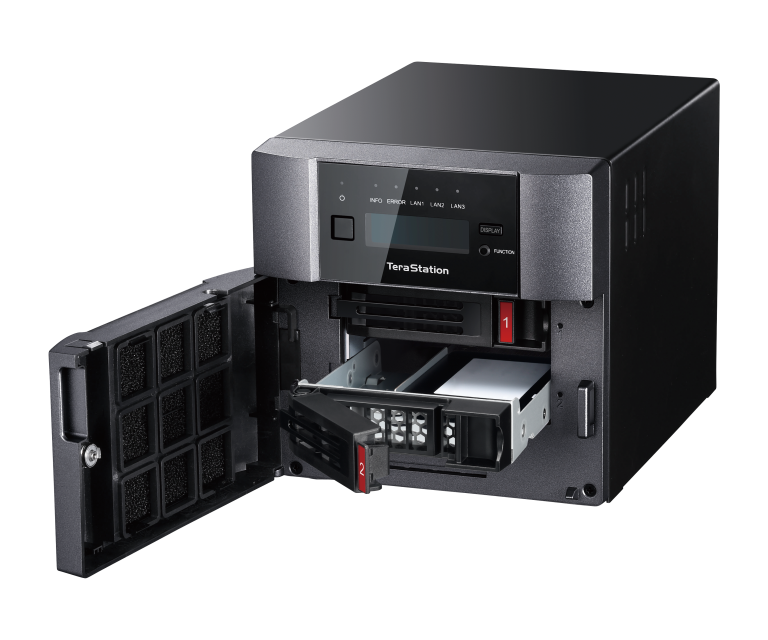 Available with either 512 GB or 2 TB total capacity the TS5210DF is designed for use in vibration-prone sites such as vehicles and ideal for server backups, video editing or other scenarios demanding blazing transfer speeds. 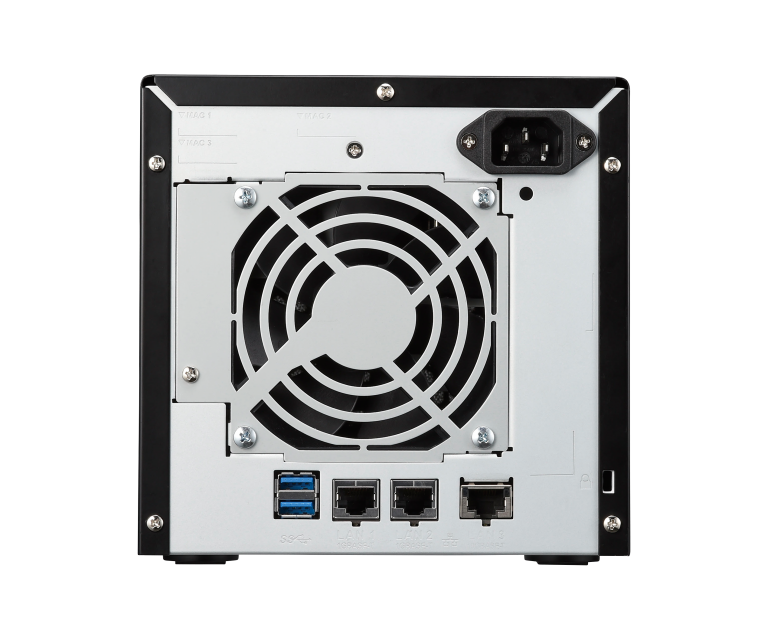 This series is equipped with SSDs and therefore very shock / vibration resistant and extremely fast.